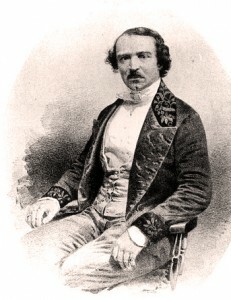 Featured in this week’s History of Magic is John Henry Anderson (1814-1874), a professional magician who was born in Scotland but was orphaned at age 10. 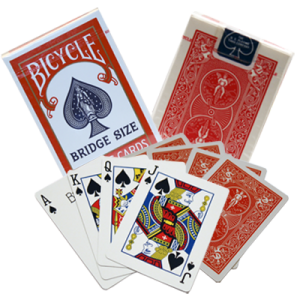 He is credited with helping to bring magic from street and country fair performances into theatres and uplifting the art of magic to a whole new social level. At an early age he joined a travelling drama group but began to perform magic at age 17. A good lesson can be learned here of the advantages of magicians joining a theatrical group to gain stage experience and theatre knowledge, something we magicians often tend to neglect. id not get a favourable response, he quickly dropped it. Another lesson here is that many magicians will continue to perform a trick because they like it, whereas the audience may not. Anderson sometimes performed the dangerous Bullet Catching Trick and is famous for his lifetime of successful performances. He used extensive advertising for his shows but in 1845 his theatre in Glasgow burnt down shortly after being completed. He lost all his equipment and suffered great financial loss. However, as a true showman and with the help of friends, Anderson launched a new show at London’s Covent Garden Theatre. In 1846 he toured Europe and Russia including St. Petersburg where he performed for Czar Nicholas 1st at a command performance. On his return to London he performed for Queen Victoria and Prince Albert. He then toured Canada, America, Australia and Hawaii very successfully. 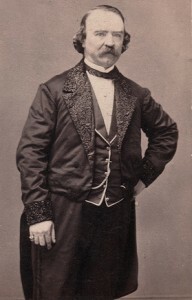 Grand who was eventually arrested for selling duplicate illusions, some of which found their way to the Wizard of the North and illusionist Alexander Herrman. Anderson began to include Robert Houdin’s pirated illusions when he took his show back to the United States. Again another lesson for magicians is to always maintain their strict code of ethics and principals. While performing a magic trick in Boston where he dispensed various alcoholic drinks called for by the audience caused a controversial high level, legal controversy in a city that was largely alcohol free. This was the Victorian age of temperance. In 1859 John Henry Anderson gave his last farewell performance in Aberdeen but the success there, inspired him to perhaps continue. He then spent a great deal of his time exposing fraud spiritualism that was rife at the time. He was instrumental in exposing the famous Davenport Brothers who had gained much notoriety with their fake spirit cabinet act. His show moved to the Lyceum Theatre in London then onto the Covent Garden in 1885. The following year after a gala performance, the theatre burnt down destroying all Anderson’s properties making him bankrupt again for the second time in his professional life. A tragedy other magicians have experienced as well over the years. Anderson was a real trouper and this setback only made him determined to keep going. This determination is the true sign of a professional trouper and showman. John Henry Anderson had three children, two daughters and a son, and an illegitimate son by his mistress. It is believed by many that one of the first magicienne’s ever to perform in New Zealand in 1875 may have in fact been The Wizard of the North’s daughter. Her name was Jennie Anderson, although she used many nom de plumes while performing around New Zealand. Jennie had numerous talents and started out as a tight rope dancer, going onto presenting a magic tricks show with a group of travelling performers. She sadly drowned while fording the Waimakariri River in a Cobb & Co. stage coach on the South Island in 1875. Although much research has been done by N.Z. magic historian James Reilly there is no conclusive evidence to support that she really was in fact Anderson’s daughter. However there are many coincidences to make it reasonably possible she was. A real magical enigma. After Anderson’s second financial misfortune he once again began another word tour this time with his son, John Henry Anderson Jr. in 1860. Then when the son turned 18, he left his father’s troupe to begin his own independent career as a conjuror in 1862. This started a bitter feud between father and son who never spoke to each other again. The Wizard of the North died in 1874, the year that Harry Houdini was born and who later greatly revered Anderson and in 1909 Houdini arranged for the upkeep of his gravesite that had fallen into disrepair in Aberdeen Scotland. You may care to Google “Gravesites of Famous Magicians” for more information on some of the final resting places of famous magicians like John Henry Anderson, The Wizard of the North. This name was given to him by Sir Walter Scott. Whilst we are nowadays more familiar with present day magicians, there are many lessons to be learnt from performers like the Wizard of the North. Many earlier magicians performed mainly as travelling jugglers and minstrels performing in town squares etc. The likes of John Henry Anderson brought magic into parlours and society, elevating magic to become the accepted art form it is today. We should revere these pioneer performers who have given us so much to be remembered for, as indeed they are in our magical history and proud heritage.